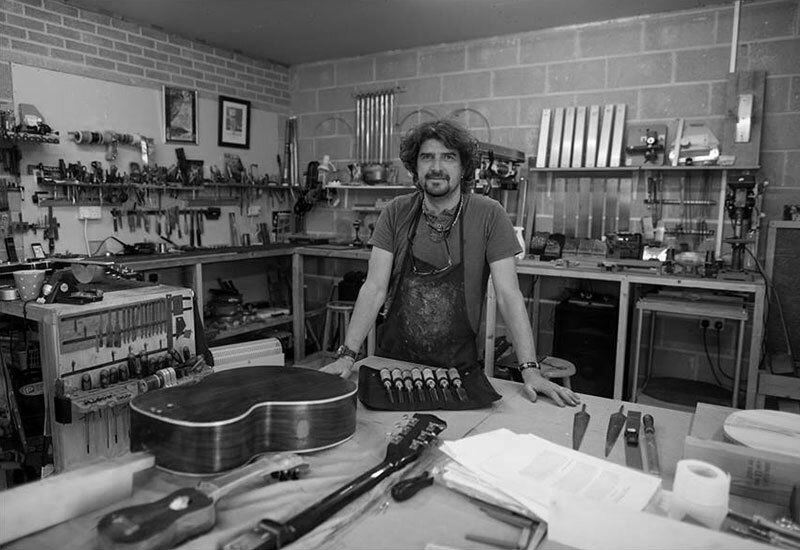 The Guitar Doctor undertakes professional repairs to all fretted instruments and has been in operation since June 1992. Neck re-sets, structural work and all fret work a speciality. mandolin, banjo, ukulele, cavaquinho, dulcimer and balalaika fretted or fretless. customising or attention to the electronics, contact The Guitar Doctor for a quote. Rates are competitive and all work is guaranteed. Buzzing can be caused by a variety of factors; fret wear, loose frets, high or low frets, my diagnosis will fix that buzz and get you back playing again. Twisted neck or a hump present. Contact The Guitar Doctor to discuss the options. Rattle at nut? Strings going out of tune? 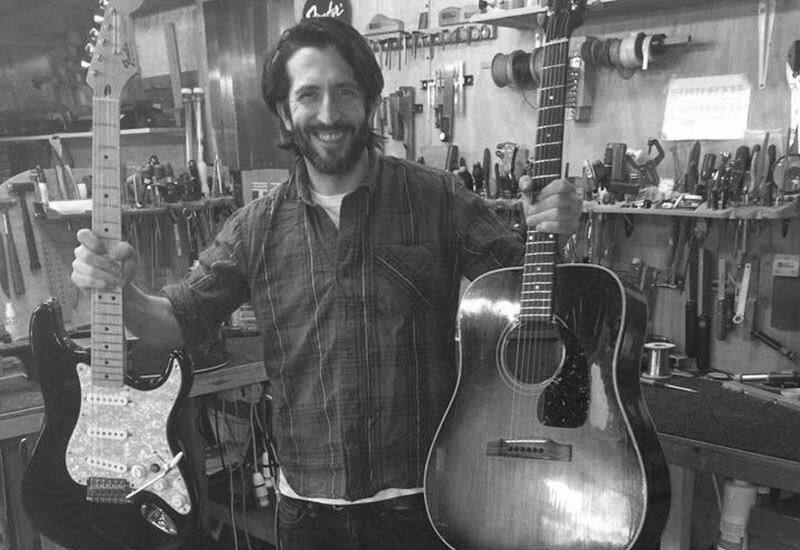 Contact The Guitar Doctor to book your instrument in for repair. Worn tuning heads, loose/damaged parts, often the tuners are not at fault though! Old/worn or cheap units not great for tuning stability. Finish scuffs, marks, dents and dings. Some can be sorted, some not without a complete re-finish due to complicated methods required. Give me a call to discuss your options as fixing this sort of damage is different for each instrument. Seized? Not performing? Lo and behold snapped? Call for options and a quote. A service to the electronics should ideally be carried out annually. Usually carbon deposits or other debris cause the crackle and scratchy noise. Cleaned or replaced at the Guitar Doctor. All can be fixed, call for a chat! Do you require the best live sound? The Guitar Doctor can supply and fit the best pickup systems to most acoustic instruments; guitars, mandolins, ukuleles, bouzouki et al. Pickups and pre-amps from the likes of K and K Sound, Lr Baggs, Fishman, McIntyre, Artec et al available to supply and fit. Contact The Guitar Doctor to book your fitting. 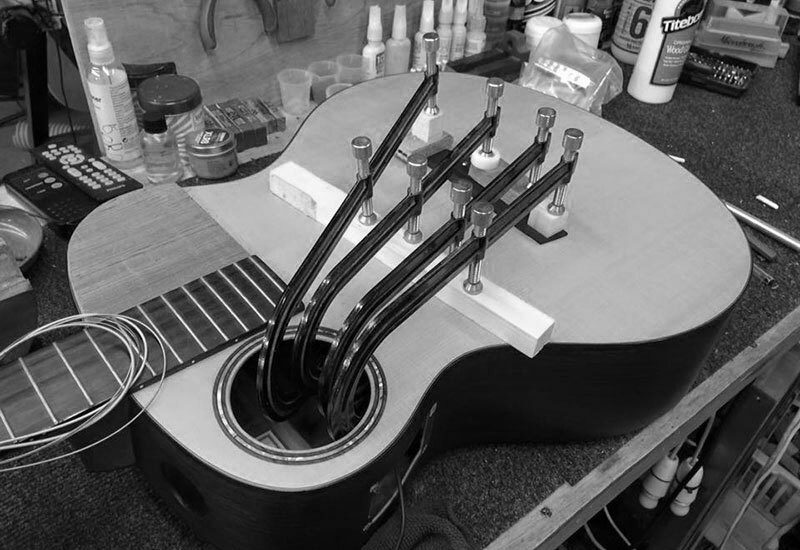 Over time many acoustic guitars can suffer from bellying of the top, loose struts and bracing. This can have a devastating affect if left or not repaired correctly. Slip up in the pub or smashed due to frustration?! I can fix this. Sometimes not all repairs will be visually perfect cosmetically however. This depends on the severity of damage. Structurally however it will be. A solid structure is crucial for a perfect setup for your playing style. Give me a call to discuss your options. Head breaks; A separation, ‘matchstick’ break or sloped break? A simple glue up to cheaper instruments, and the added peace of mind of strengthening ‘splines’ to the join and a re-finish will soon have it back up and running. On average, I see 1 – 2 a month at least! Check out the gallery. 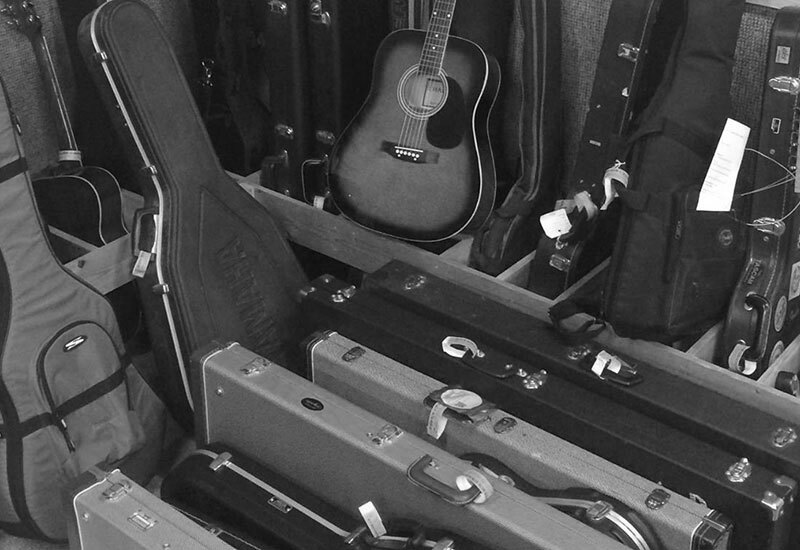 Each instrument then setup for optimum playability.